Atari, widely known for their extensive video game library, also produced pinball machines for a short time during the late 1970’s. In many ways, Atari went against the norm in both their design and style of their machines. All of the produced Atari machines, other than the massive Hercules, were widebody designs. Early machines featured score displays mounted in the apron area, with circuit boards in the lower cabinet. 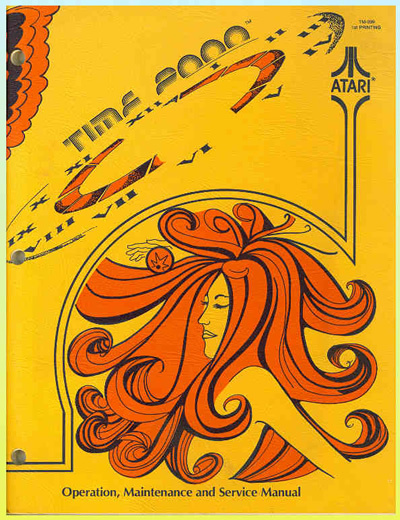 After Hercules, in 1979, Atari ended their involvement in pinball, instead opting to focus on the video game and home console markets. A couple of prototypes were made after 1979 but nothing was released. Atari pinball system can be effectively divided into two distinct generations, which will be referred to as Gen1 and Gen2. The vast majority of machines produced were manufactured utilizing the Gen1 board set. Only Superman and Hercules utilized the Gen2 system. Road Runner, of which only two machines were made, utilized a Gen3 design that was never put into production. The two styles are easily distinguished both in their layout and locations. 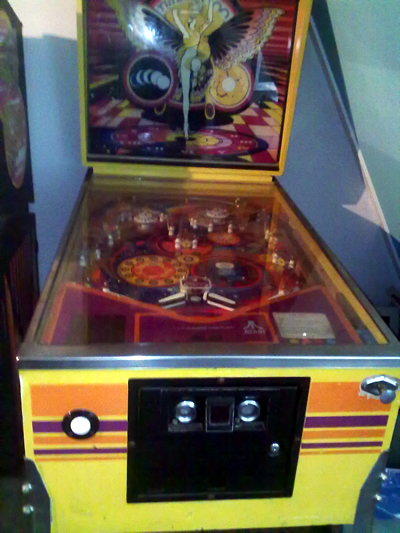 Gen1 boards incorporate all of their components into a single large sized circuit board, which is mounted in the lower cabinet below the playfield. Gen2 boards were split into two separate boards located in the headbox, a CPU board and an I/O board, which are connected via a 40 pin cable. Note that while using the same basic board, Gen1 boards are not drop-in interchangeable. Boards were assembled according to the machines they were going to be installed into, and not all components were installed on the board. You will need to inspect a donor board to see which solenoid circuits are actually installed, and you may need to install additional circuits in order to activate all solenoids. Atari took a very different approach to their circuit designs than other manufacturers of the same era. Rather than use an 8×8 matrix design for switches and lamps, Atari machines have discrete connectors and wiring for each lamp and switch. This results in a large number of wiring connectors and wires, as each switch and each lamp generally has its own dedicated wire and connection. Though in some cases, multiple switches may be daisy chained together, if they perform the same actions, such as Switch 20 on Superman machines. Another interesting feature is that the insert lamps do not turn on and off like other manufacturers. Instead of being normally turned “off”, lamps are kept turned on, but in a very dim state. When a lamp would be turned “on”, it’s switched from dim to bright. This was done intentionally, in order to extend bulb life, by reducing the stresses incurred in the filament when switching on and off. However this also means that Atari machines are not compatible with LED lighting for the inserts, as they would always be turned on. With Airborne Avenger and prior games, Atari introduced rotary solenoids, which were primarily used for flippers and hole kickers. Eventually, Atari switched over to standard plunger-style solenoid assemblies. Atari even offered kits to operators to convert rotary-style flippers to plunger-style flippers because failure rates were reported to be high. Atarimuseum.nl is the proud owner of the “Time 2000” pinball machine. And the official Field Service Manual.